My criminal defense practice is almost exclusively in the area of drunk driving. However, I have had a few DUI cases were my client was able to prevail at the DMV APS Hearing, just to receive another notice of suspension from the DMV because of a medical issue such as diabetes, seizures, loss of consciousness or memory issues. My clients have then retained me to also defend them at the P & M Hearing in hopes of maintaining their driving privileges. Since I handle these hearings for my clients, I am now getting retained by people just to handle these DMV matters. What triggers this action by the DMV is either: 1.) The “Confidential Morbidity Report” which is filled out by a treating physician; or, 2.) A “Request for Driver Reexamination” which can be filed by any person who knows of a reason why someone is unable to drive safely. 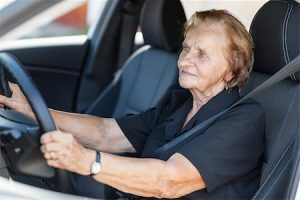 Under Health & Safety Code Section 103900, a doctor is required by law to report any condition that is believed to affect the person’s ability to safely drive, including any loss of consciousness or Alzheimer’s disease. Although a lay person is not required to report a person to the DMV, anyone may request a driver to be reexamined. The report may be done confidentially; but the reporting party must identify themselves to the DMV for the matter to be evaluated. The reporting party should be aware that although the initial report is confidential, if there is a hearing on the matter, the reporting party’s name may be disclosed to the licensee and their attorney, if one is retained. The licensee has a right to obtain copies of the Department of Motor Vehicle’s evidence prior to the hearing pursuant to California Vehicle Code Section 14104. The licensee has a right to retain an attorney for the hearing, present evidence on their behalf, question the Department’s witnesses and testify. If the result of the hearing is unfavorable, the licensee also has the right to appeal the decision directly to the DMV and also to the Superior Court of California in the form of a Writ. The loss of the privilege to drive means loss of mobility and independence. Do not go into these hearings without legal counsel to give yourself the best opportunity to save your license. Immediately contact The Law Offices of Susan L. Hartman for help. We offer a free, confidential phone consultation, so you can learn about your rights and options with no obligation. 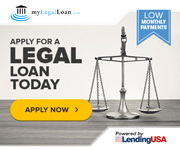 Call us at 619-260-1122 or use the “Contact Us” form on this page.